Co-Founded The Run Experience with Nate and has been a long time endurance athlete and entrepreneur. He ran Division I Track and Field (specializing in the 3000m Steeplechase) and Cross Country at Rice University in Houston. He has run most of the large US marathons, including 3 Boston marathons and completed his first Ironman triathlon in 10:51:51. He continues to train and stay active in San Francisco, where he enjoys biking, running, lifting and playing the guitar. Co-Founded The Run Experience with the goal of reaching a broader audience of runners and outdoor enthusiasts who want to be able to run and enjoy the outdoors and remain injury-free. He has helped athletes finish their first races, conquer new distances, overcome pre-existing injuries, set new PRs, reach the podium, and qualify for national and world level events. Nate Helming is based in San Francisco and in addition to coaching runners and triathletes of all levels, he trains Olympic level cyclists, professional triathletes, elite mountain bikers, and national-level ultra runners on strength and mobility. Nate has traveled around the world to speak about better strength training for endurance athletes, and regularly publishes videos and articles on how runners can do it better! You can visit him in person in San Francisco for one of his classes or one-on-one sessions. Certifications: USA Triathlon I, CPR/First Aide, Cross Fit I, CrossFit Mobility, CrossFit Endurance, Carl Paoli’s Free Style connections. Holly is a personal fitness trainer and professional contemporary ballet dancer in San Francisco, CA. Though originally from Northern Virginia, for her undergrad Holly chose Utah (go Utes!) for its renowned BFA Ballet Performance program. During her time there she discovered Utah’s unparalleled hiking and running trails, she had become an avid trail runner by the time she’d left. Holly is always excited to meet and work with new athletes of all abilities! Shoot her a message if you’re in the Bay Area and looking to amp up your running 1-on-1! Elizabeth Inpyn is sports performance nutritionist based in San Francisco, California. She is a former NCAA Division 1 swimmer and water polo player. The long-distance triathlon bug bit her about 8 years ago and she hasn’t looked back since. Combining her love of endurance sports and nutrition she specializes in helping athletes of all levels learn how to use food for improved performance and recovery. When not swimbikerunning, you can find Elizabeth taste-testing new recipes in her kitchen, analyzing lab & race results from her coached athletes or traveling to training camps where she consults with some of the best athletes in the world, creating their meal and supplement plans. Education/Training: BA Chemistry, ME Education, MS Sports Performance Nutrition, Holistic Nutrition Certification. Jeff Loope is a photographer and video editor living in Virginia. Jeff’s work has been displayed in galleries in New York, Los Angeles, Washington DC, London, and Budapest. His fine art photographs also hang in the private collections of many top cigar makers including Carlito Fuente, Pepin Garcia, Jorge Padron, Rocky Patel, William Paley, and Glen Case. In 2015, Jeff’s work was included in the publication, “Rich Community: An Anthology of Appalachian Photographers”. 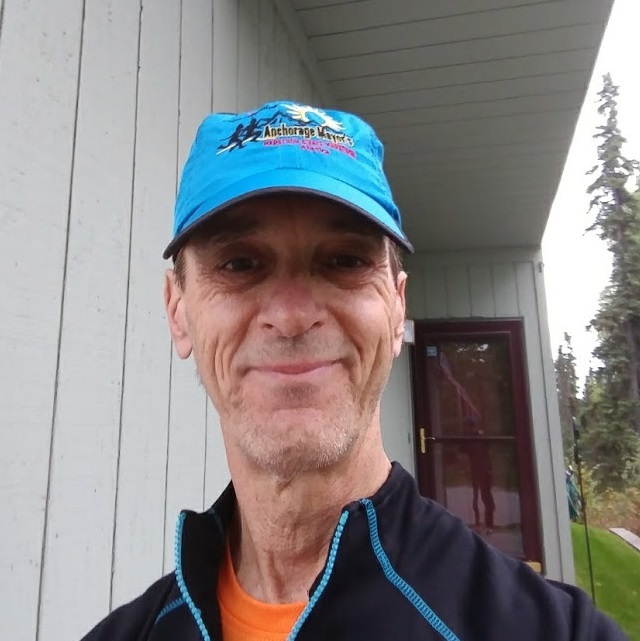 Originally from San Diego but living in Alaska since 1985, Edward brings a new enthusiasm to The Run Experience. Having started running in his early 50s, he literally has found his stride as a runner over the past few years. His new-found passion for running and coaching gave him an opportunity to find and then integrate the TRE running, mobility and strength tools into his own 2019 Boston Marathon qualifying training. As both a geek and a nerd, his love of learning, science, engineering, and analysis has brought him here. He knows he has a lot to learn and a lot to contribute and is looking forward to a long tenure with TRE, where he hopes to be able to give back to the TRE community in full measure for what he’s personally gained. Originally from Washington State, Jessica currently lives in North San Diego County. After many years of nondescript back pain with seemingly no solution, Jessica stumbled across TRE and decided to give it a shot. The combination of strength training and mobility work alongside running has made all the difference, and has resulted in a healthy, injury free runner! Though she started with a few road marathons, Jessica soon transitioned to the trail and never looked back. Most often accompanied by her dog sidekicks on training runs, Jessica gravitates toward the ultra distances for races. She’s not fast, but she’s got endurance for days! When not running, Jessica spends time cooking vegetarian meals, reading, and working in her garden. 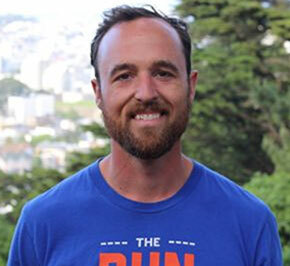 Morgan has recently entered the ultrarunning world since moving to the Bay Area. It has made her fall in love with running all over again. If you are in the area she would love to show you some of her favorite trail in the Marin Headlands. Morgan has her sights set on running the 6 major marathons: NYC, Chicago, Boston, Berlin, London, and Tokyo. In 2019 she will get her first chance when she competes at the Boston Marathon. Running cross country and track in high school sparked Paige’s love of running, but old school training methods that focused only on mileage left her perpetually injured. Unable to run for a few years, she started rock climbing and then found TRE which taught her the importance of incorporating strength training. Pretty soon she was injury-free and rediscovered the joy of running! Paige currently lives in the high desert of the Eastern Sierra where she is spoiled by amazing trails and is always wishing for more oxygen doing track workouts at 8000’. Her favorite runs are long mountain romps with her dog, Penny, that involve some talus-hopping, scrambling, and a good summit! One day soon she’d love to move up to ultra distances. When she’s not running you can find Paige sculpting, painting, and trying to get Penny to stop chasing deer across the desert. Bethany has been happily married to her best friend for the past six years and together they have four children under the age of six years old. Bethany received her BS from Azusa Pacific University in Applied Exercise Science and has a passion for inspiring others to live a healthy lifestyle. Over the past 12 years, Bethany has been very influential in the fitness community and has helped transform many lives. Bethany currently holds her NASM-CPT certification, AFFA certification, Aqua Logix certification, GEAR Spin certification and USATF-level 1 certification. In the past Bethany was Crossfit certified and actively coached and competed herself in the Crossfit community. In 2016 Bethany qualified for the Boston Marathon for the first time, in her third ever marathon race. Bethany currently runs her own online coaching business and has a goal of running a sub-three-hour marathon in the near future! Carlos M. Del Pino is a native from Tampico, Tamaulipas, México. He has now lived in the United States for over 18 years and has been involved in the running community since 2012. He enjoys meeting runners from all over the world and is inspired by the local runners that have helped him become healthier and more active. He is a marathoner and ultra marathoner with one 50 miler under his belt. He also loves the treadmill. In 2017 he completed a 50k on one! Every second Saturday of the month he co-hosts the Velvet Hammer 5k social run. In his spare time he enjoys playing guitar, drawing, painting, traveling, binge-watching TV and being outdoors with his wife and their three dogs. Crystal loves a good challenge, a hard mountain climb and life adventure [especially those experienced on foot]. She started running in post-college days [or daze] and hated it. But, she likes a challenge – so she kept going, one step at a time. After almost dying [exaggeration necessary] on her first 6-mile trail run, she was in – all in. Since that point, Crystal can check off 50ks, 50s, 100 miles and the Georgia Death Race. She can also highlight fun runs, a DNF or two, and a lot of training and trail time with really good company. These days you will find her settling in North Carolina, teaching fitness, walking the dogs, enjoying all the best coffee spots, and balancing this crazy thing called life in both the real world and square world. 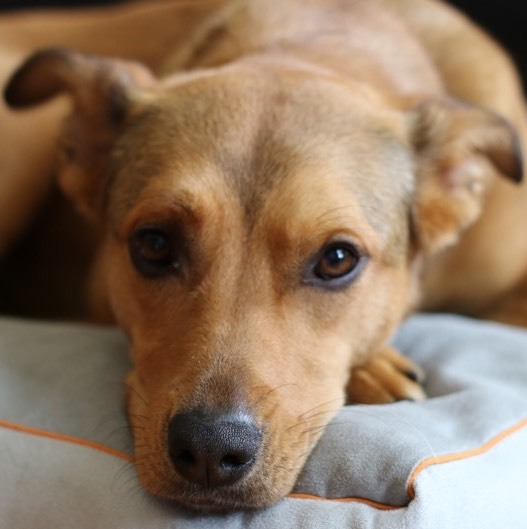 Jenna is a running enthusiast and rescue dog mom who thoroughly celebrates Taco Tuesdays and enjoys the outdoors. She ran track among other sports throughout school, excelling in the 400 and 800 meters as well as high jump and long jump. 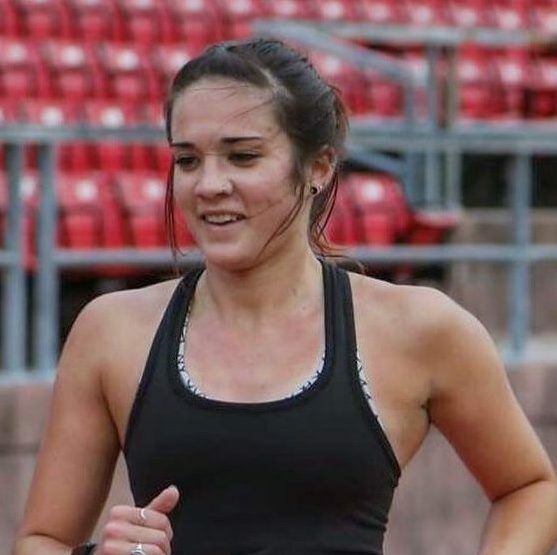 Though she’s been running with her dad ever since she was young, it wasn’t until about two years ago that she really considered herself a “runner.” Her passion for running came to be shortly after college and being let loose into the real world. Occasional jogs were a nice outlet and way to zone out. Then one day, a friend asked her if she wanted to go to Las Vegas for a girl’s trip to run a marathon. Well, Vegas sounded fun so she didn’t think twice before signing up for the Rock n Roll Las Vegas Marathon. Next thing you know, she was training to run 26.2 miles and hasn’t stopped since! She currently enjoys the Half Marathon distance and is aiming for a time in the 1:30’s with a current PR of 1:42, but mainly just wants to continue to grow and learn as a runner. Jenna truly enjoys being part of the social media running and fitness community and hopes to meet you soon. Follow her on Instagram and all of her socials here! Jonathan, who goes by the nickname “Scooby Runner”, is a running enthusiast and social media influencer. He races all distances from 1 mile up to 100 miles but his favorite distances are Half Marathons & Full Marathons. Scooby has always loved running, but his high school didn’t have a track or cross country team, so he settled for soccer and baseball instead. He went to college to pursue civil engineering but it wasn’t his strong point. Running was his passion. After finding a love for running, he began logging thousands of miles and running every race he could find. He began pacing marathons and running ultramarathons. His love for running continues to grow as he focuses on improving his times in the half and full marathons. In 2018, he is focusing on racing the Boston Marathon, Youngstown Marathon, Grandma’s Marathon and Chicago Marathon. You can find him pacing as well: Toledo, Cleveland & NYC Marathons are in his lineup. I’m Katie, a 38 year old Seattle transplant, happily living and running in St. George, Utah. Ten years ago my husband and I traded rain for sun and green trees for red rock, and I love my running town. I’ve been a runner for more than 20 years and although I’m not an expert, my experience has taught me a lot about training, fueling, racing, dealing with injuries, and nutrition. I set a goal a few years ago to sub 3 in the marathon. It took a lot of work and I learned a lot on the way, but I achieved my goal in 2016 at the Mt. Charleston Marathon with a time of 2:55:16. When I’m not running, or being a wife and mother, I’m at my school teaching 6th grade language arts. As women we are constantly juggling our duties and responsibilities and striving for balance in our busy lives; it’s why running is so important to me. Running makes me be a better mom, wife, teacher, friend, sister; those titles that I value the very most. Jess, first and foremost a wife and mother of 2, is a six-time marathon finisher and 20+ half marathon finisher. She is a former gymnast and collegiate cheerleader who began running during high school and has never stopped! As she’s aged, the distances have grown and her speed has lessened but her passion for the sport has been unwavering. She’s also combined her collegiate background in journalism and channeled it into creating Jess Runs Blessed, a running, fitness and healthy lifestyle website that began from her desire to chronicle her training and eventually qualify for the Boston Marathon. Since it’s inception, Jess’ blog has grown to be more of a sharing site for tools, workouts, tricks and real life that she feels might be helpful and/or entertaining to others. In 2016 she was diagnosed with stage 3 Chronic Kidney Disease but rather than look at the diagnosis as a hindrance she sees it as an opportunity to shed light on organ donation and kidney disease awareness. Jess is also a fitness aficionado, RRCA certified running coach, digital content creator and social media guru with just 2.5 years of Instagram experience. She coaches youth track & field, can often be seen with her wiener dog, Miles, and is currently half marathon training for Revel Mt. Charleston in April and then the Chicago Marathon in October. Find and follow Jess on Facebook and Instagram @jessrunsblessed!! Jenna McHugh is a runner, fitness enthusiast, and social media influencer. She runs across the country each year sharing her passion for running and fitness. She races all distances but the marathon her favorite, running about 2-3 each year, including the Disney Marathon, Boston Marathon (five times), and Chicago Marathon in 2018. Her passion for running started five years ago after she ran the New Orleans Rock and Roll Half Marathon with her best friend. Today she is training for her 13th marathon, Boston, in April. Her marathon PR is 3:18 and 1:33 for the half marathon. Jenna has been a Vice President at a Fortune 150 Company for the last 21 years with expertise in Human Resources and Corporate Social Responsibility. She is also a wife and mother of three kids, ages 14, 12, and 8. She also has a passion for photography, Disney, and supporting the largest orphanage in Haiti through mission trips.